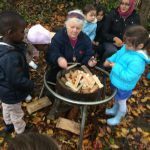 Forest School is led by our own staff, Vicki, Fran, Tricia and Laura, who have been trained as Forest School Leaders. 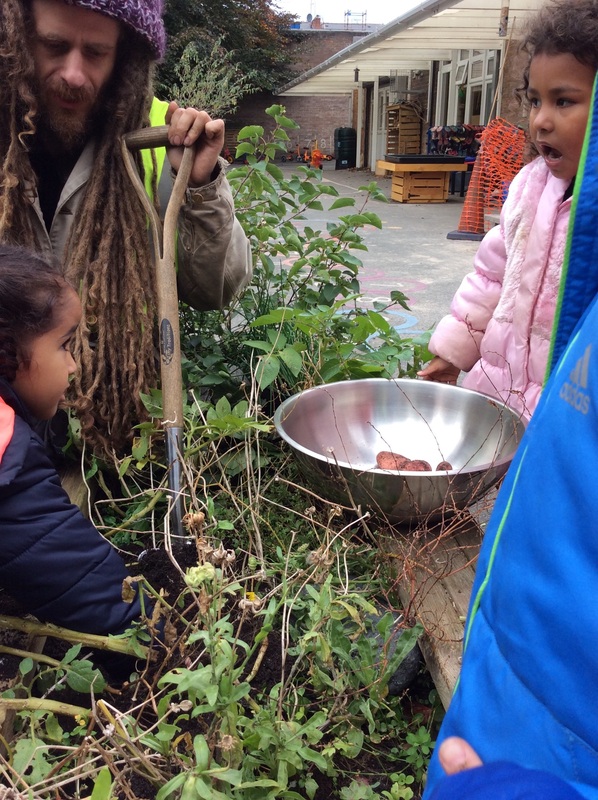 Dan Jewell, one of governors provides support. 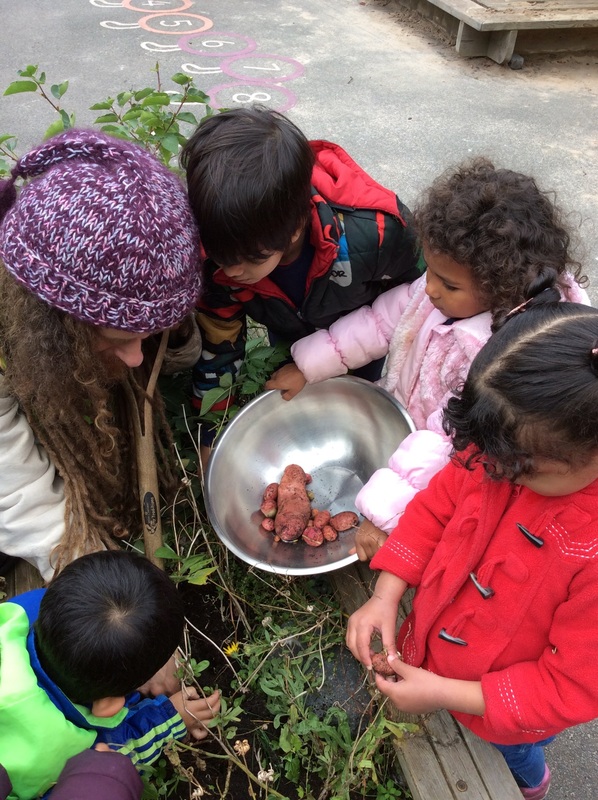 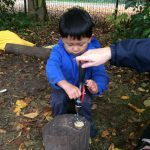 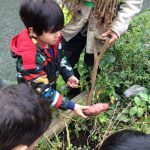 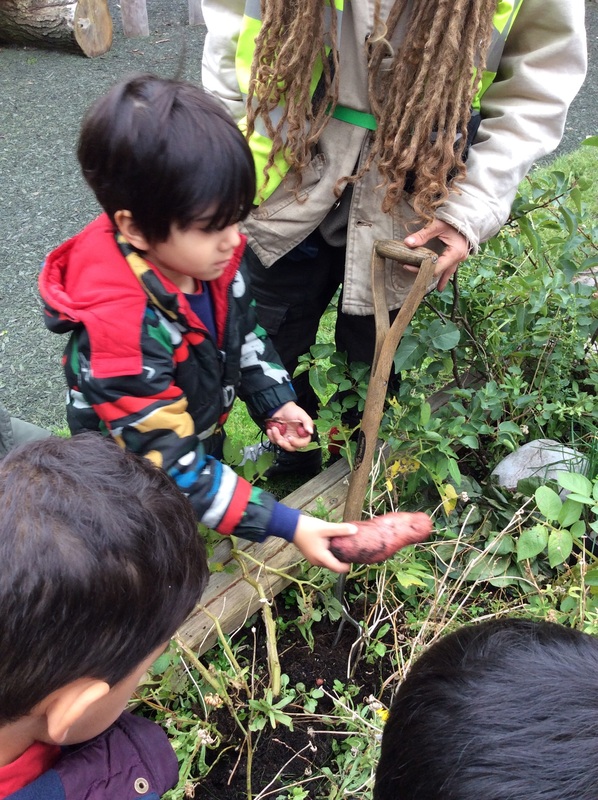 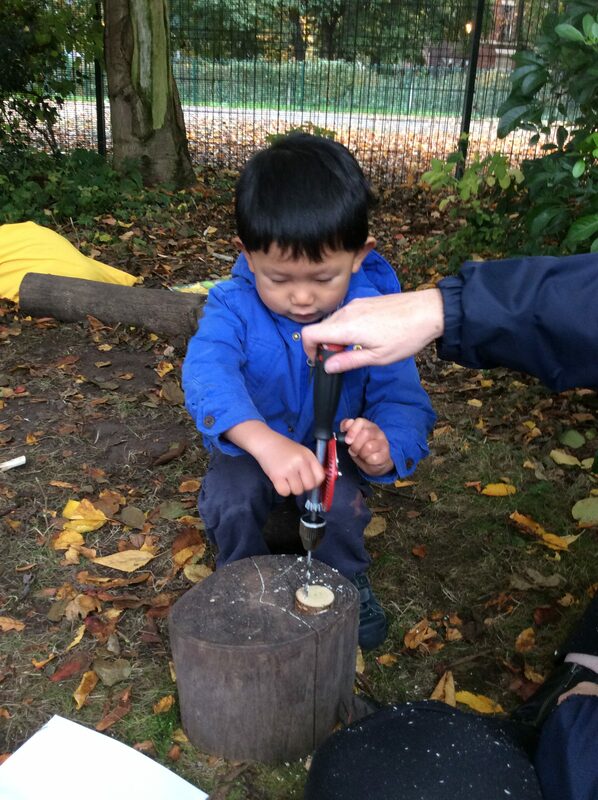 Forest School encourages independent, confident, responsible learners. 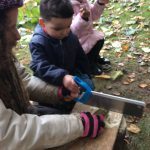 It is a holistic learning through play and exploration; children learn about the natural environment, how to handle risks and use their own initiative to solve problems and cooperate with others. 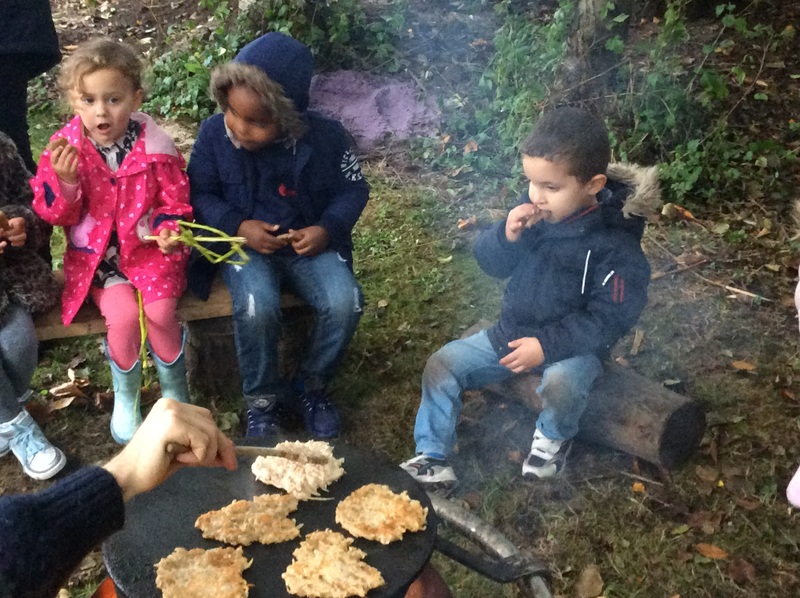 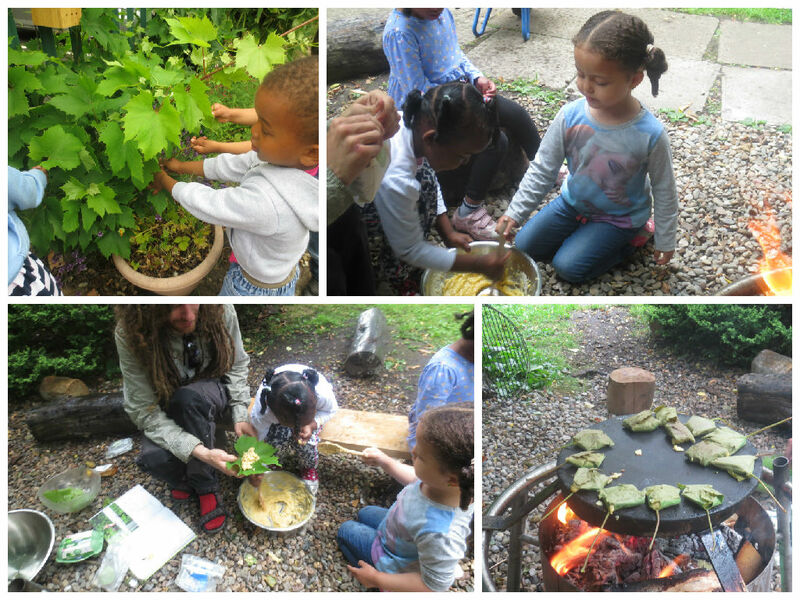 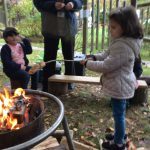 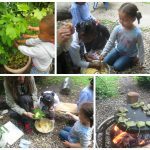 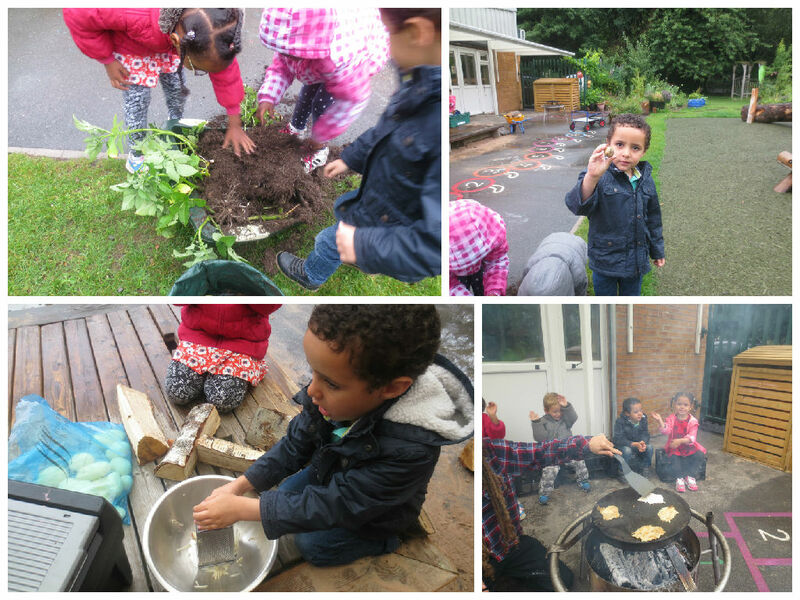 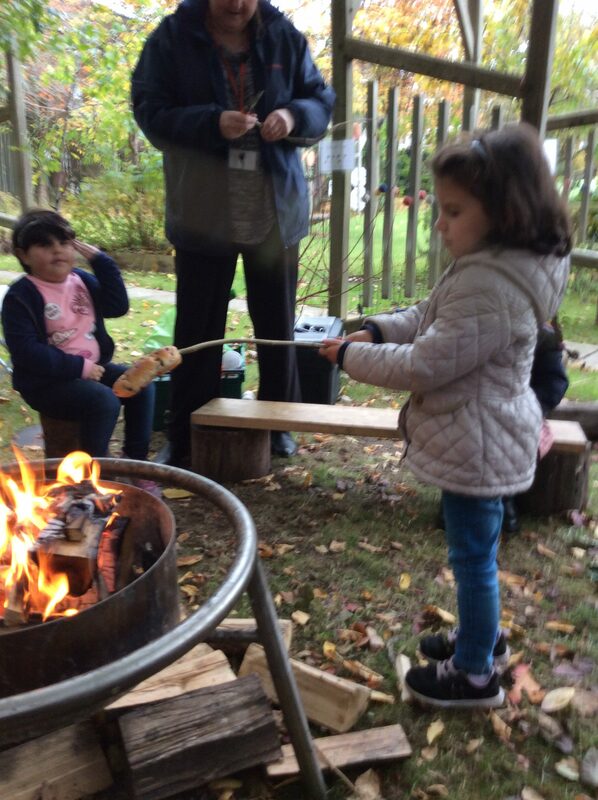 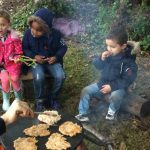 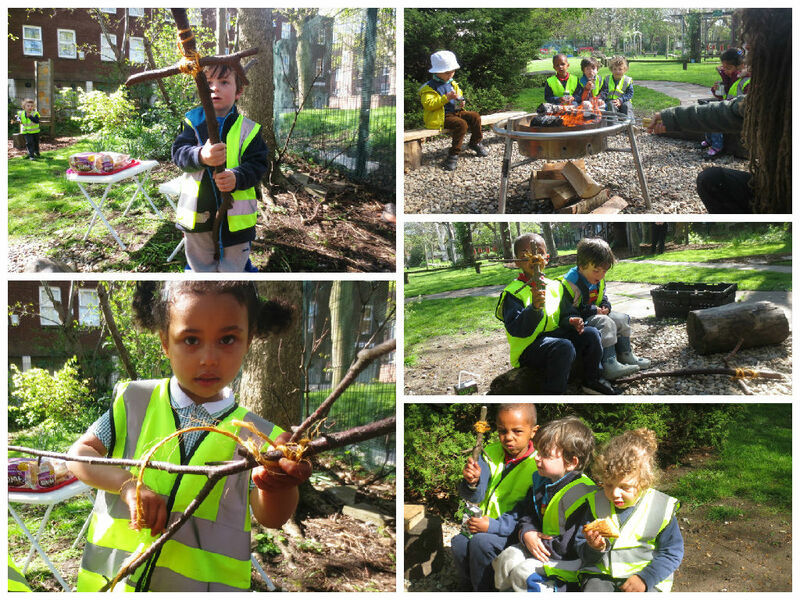 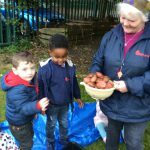 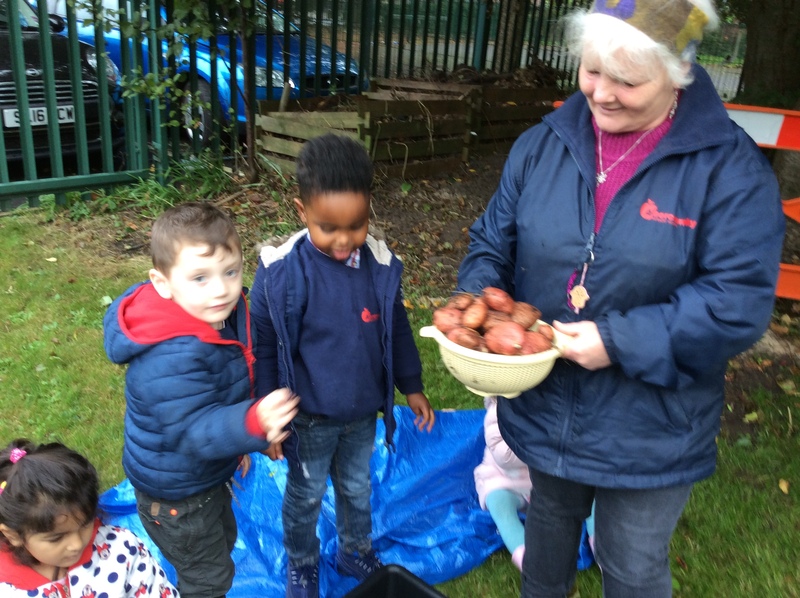 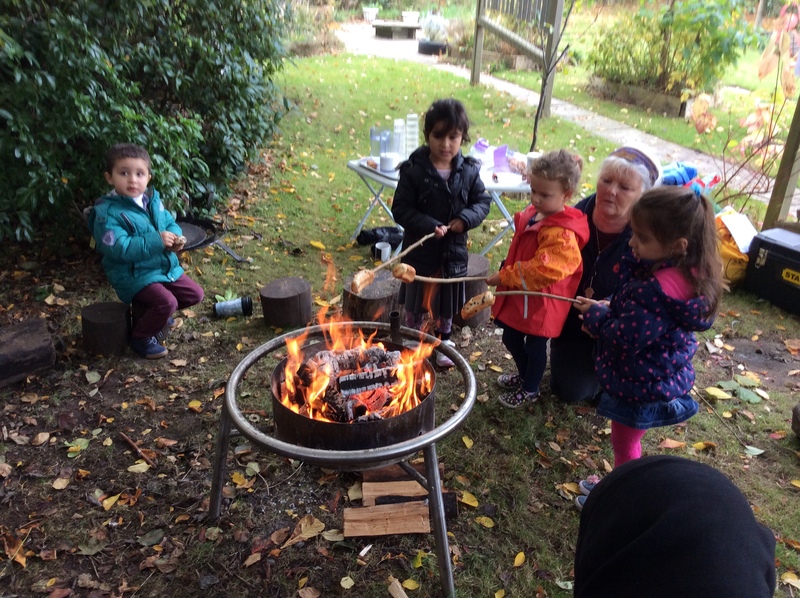 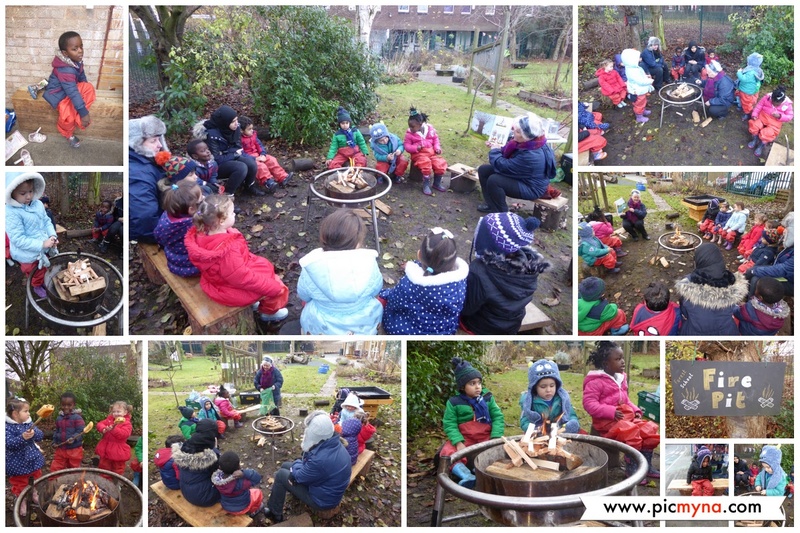 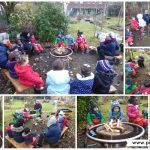 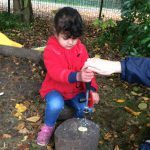 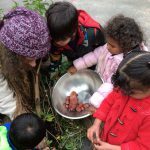 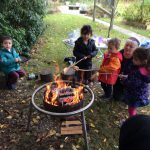 During Forest School sessions, children will build and light a fire, which will be used to cook a snack on, or food for them to share with the rest of the school at lunchtime. 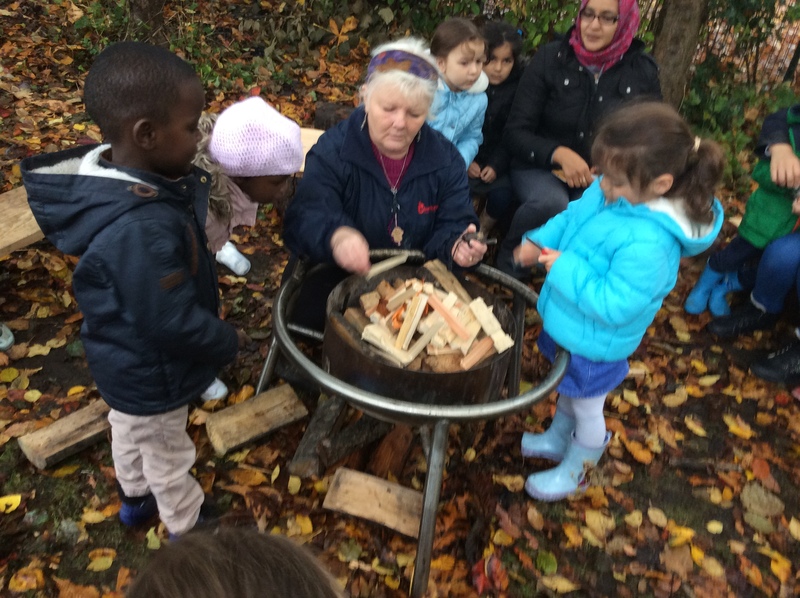 Sometimes the children have a story around the fire which may inspire an activity e.g. 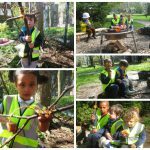 following the story of Stick Man, the children may want to make their own stick man. 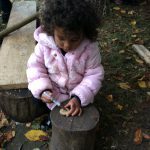 Or they might build shelters and use green woodworking skills to create and build objects from the natural environment. 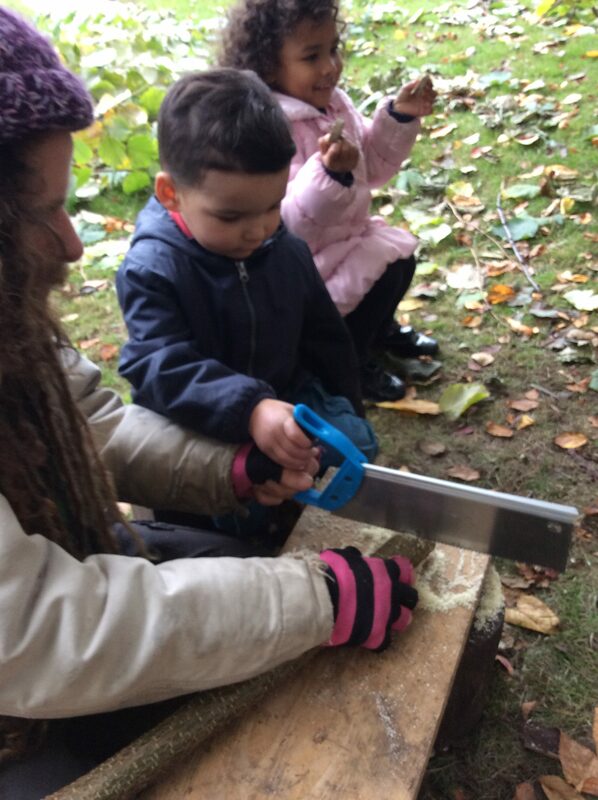 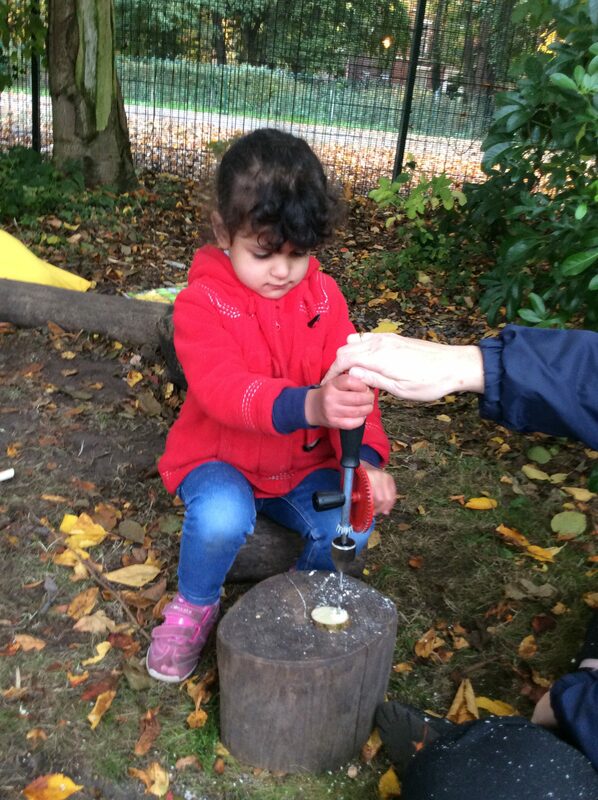 The children learn to use full sized tools, safely and responsibly. 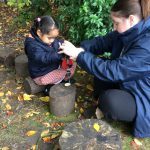 Abercromby Forest School is designed to enhance and complement our day to day curriculum. 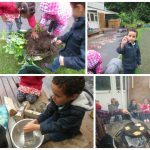 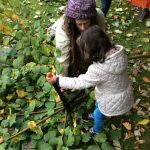 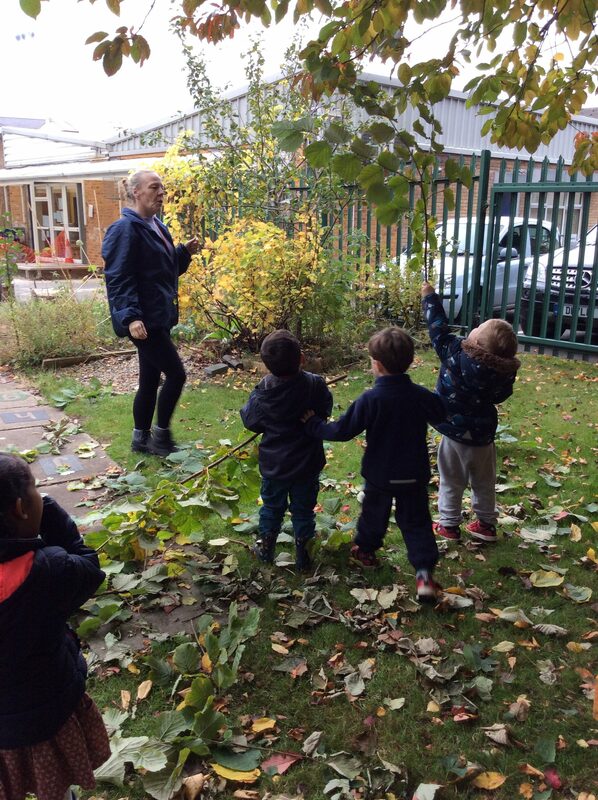 It offers all our children opportunities to develop confidence and self-esteem and to experience achievement in our outdoor space. 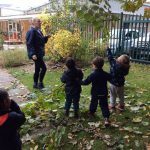 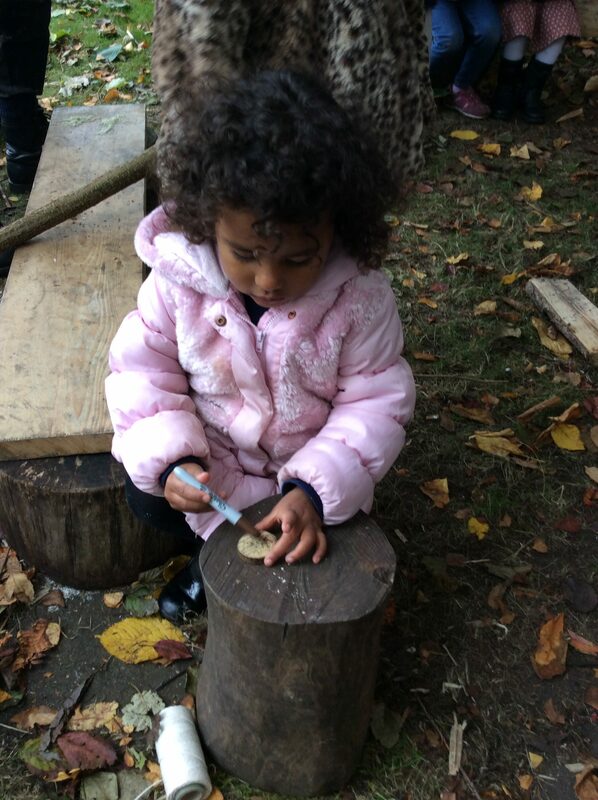 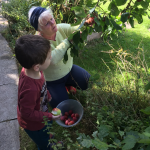 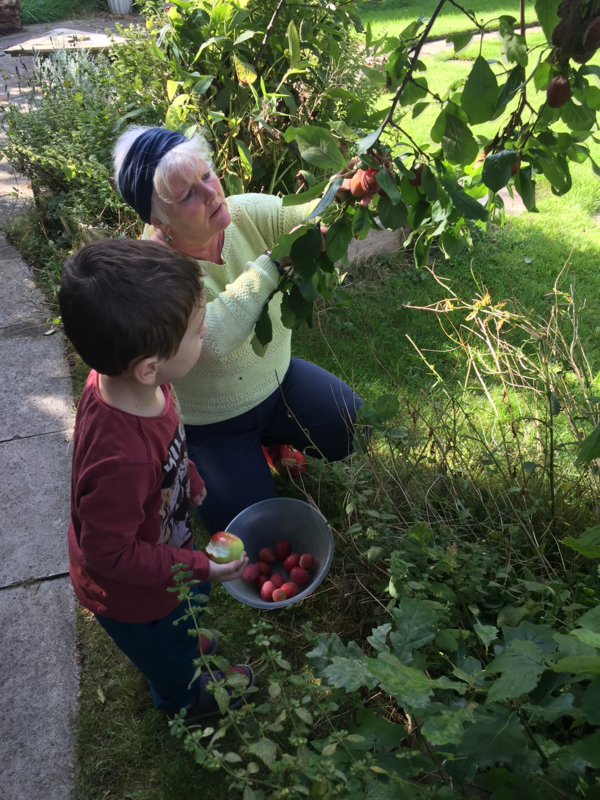 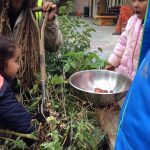 All Forest School sessions take place in our lovely spacious garden and are fully risk assessed. 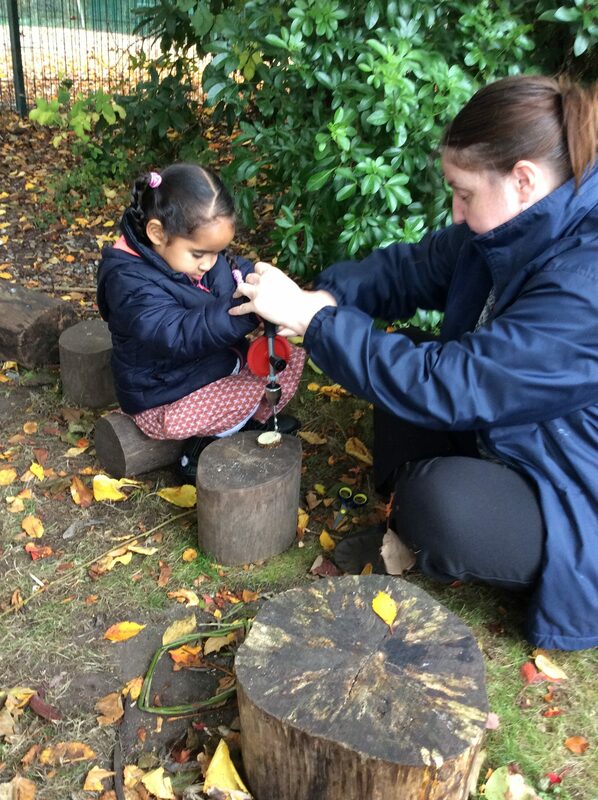 Staff are also trained in paediatric first aid.